Now customers can participate in a Proof of Concept (PoC) to see how cloud-based access to Numeca design, analysis and optimization software can streamline their projects. Work with our seasoned HPC engineering team to set up your cluster. Connect to Advania Data Centers’ HPC environment remotely, in a simulated run-time environment that replicates your home HPC cluster. Get unique access to Numeca's computational fluid dynamics (CFD) and multiphysics software via HPCFLOW and UberCloud containers. Discover how on-demand access to Numeca software can make a difference for your computational projects. 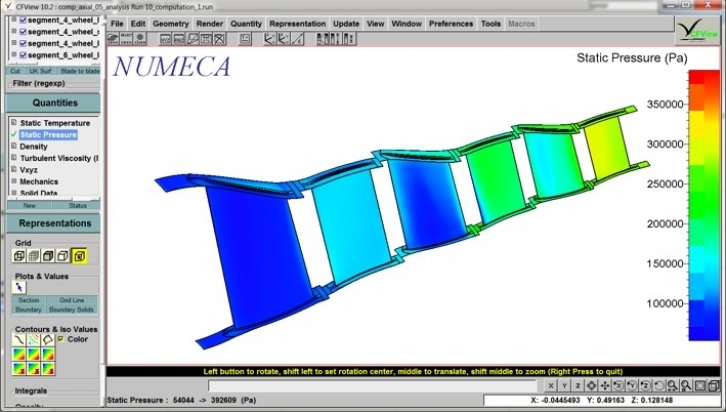 NUMECA has an end-to-end toolchain: from a suite of structured and unstructured meshers, to different CFD solvers to optimization, with a series of unique add-on modules. With NUMECA you can focus on your objective: designing and optimizing your product, all while reducing costs and increasing productivity. Complete the registration form above. Our HPC experts will work closely with you to set up an HPCFLOW cluster with Numeca capabilities. Run tests and see what a difference on-demand access to Numeca software can make to your workloads. Interested in discovering more about Numeca's CFD and multiphysics offerings? See the complete list of their software products here.